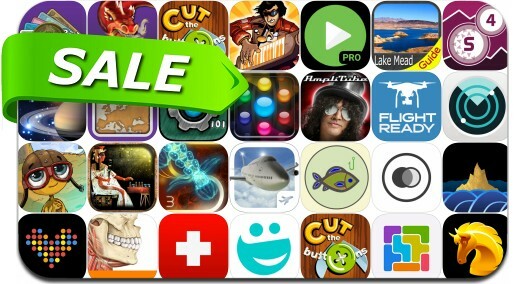 No need to pay full price to get great apps, just try one of the 28 discounted iPhone/iPad apps below. Today’s batch of apps on sale includes SHI•RO, Find my Fitbit, Word2Art, Jollygrams, Cellar, Frederic, Orba, CardioBot for Apple Watch and many others. Word2Art is a professional app for create wordart cloud picture. it can use camera photo to fill. it can save as .eps or .svg file Print these vector files DIY T-shirt ,bag,mug cup... Professional quality results can be achieved in no time at all, even for users with no prior knowledge of graphic design. Jollygrams is utter gibberish. No really, it is. Just try and make sense of all the nonsense. It’s full of phrases like Plouse Hant and Mooper San and Band Socks. Apparently, people can unscramble this balderdash and find some sort of meaning. And to think they call it a word game! As far as we can tell, Jollygrams is jitter ubberish.